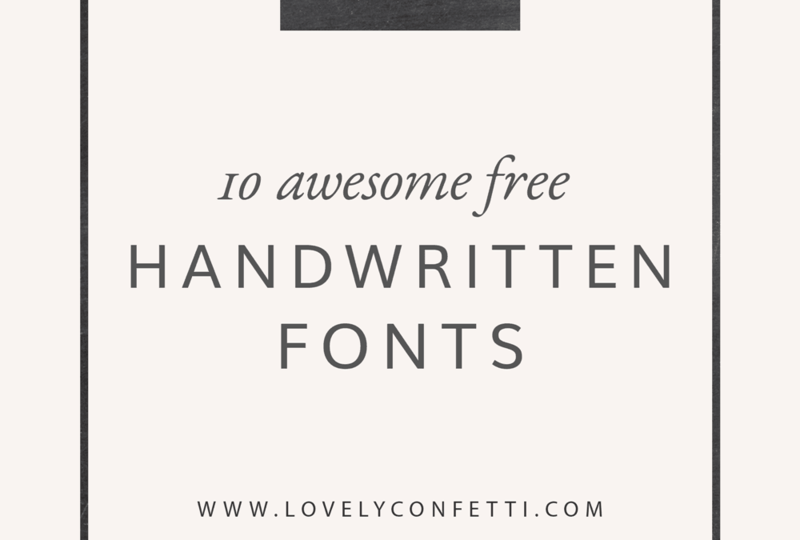 A follow-up to my post about amazing 12 free handwritten script fonts for your creative projects: here are 10 free awesome handwritten fonts that I have downloaded recently. I absolutely love handwriting fonts. I think they add so much character and uniqueness to graphics. These fonts are perfect for versatile applications such as cards, social media posts, graphics and signatures, logos or marketing material will expand your collection and will surely help to improve your creative designs. I searched high and low for the best free fonts to download for personal or demo use. These are free for your personal use, meaning, if you want to use them for your commercial work, you’ll need to pay an additional licensing fee. If you are designing your branding or new creative project , here are 10 fonts that you cannot go wrong with. so don´t miss the chance to add these lovely fonts to your collection. Do you have some free favorite fonts that aren’t listed? Comment below & share! I’d love to see what fonts are dear to your hearts! 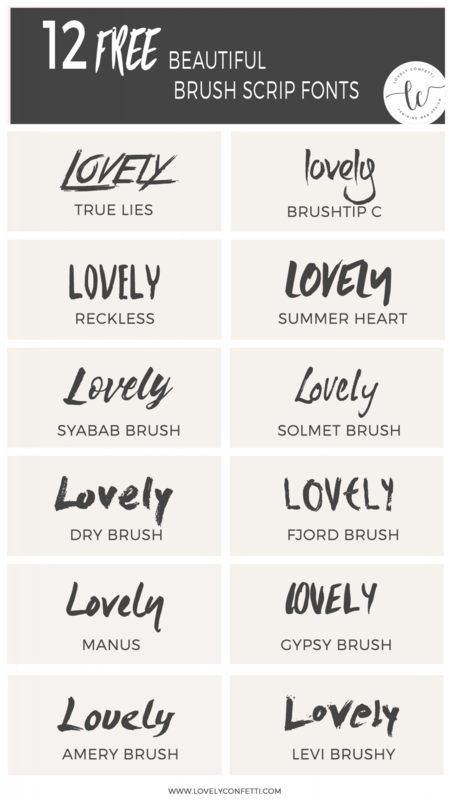 Follow my Fonts Pinterest board to discover new beautiful FREE brush script fonts! Hope you’re having a new year! 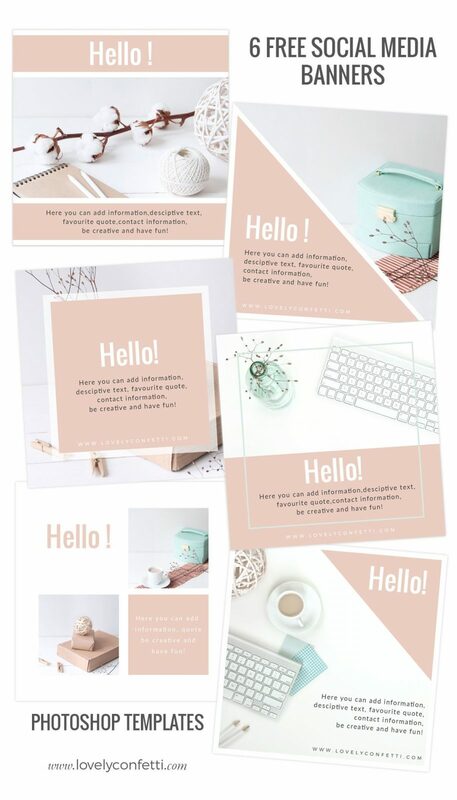 I thought of doing something extra special to start off this month with 6 free download social media banners multipurpose (square format 1200 x 1200 px size) to help you promote your content (posts, quotes, cards,..) in your blog, instagram, pinterest,.. 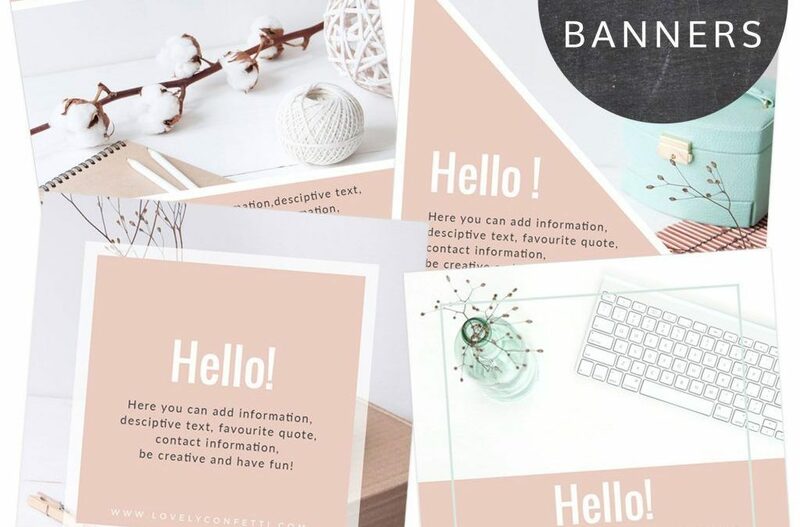 Banners are ideal for bloggers, fashion brands, lifestyle brands, magazines and creative business that want create a cohesive branding experience acros their social media. 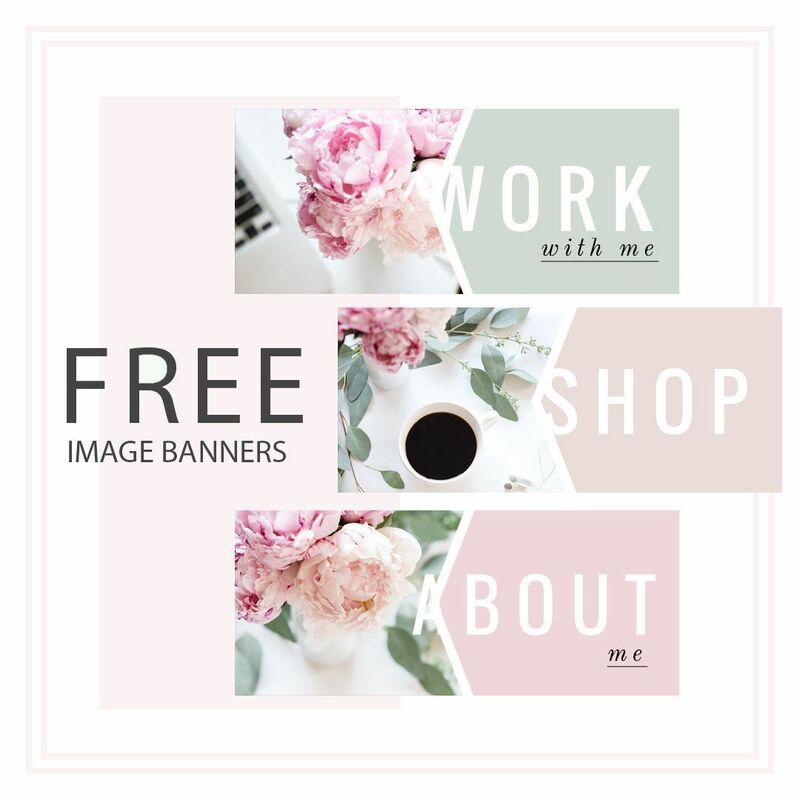 These free download banners are easy to edit, with fully customizable text and easily replaceable images. I´ve created them in .psd format so you need a basic knowledge of Adobe Photoshop (althought a help filde is included). Check out for more free designs HERE – I hope you have a great time customizing these templates! 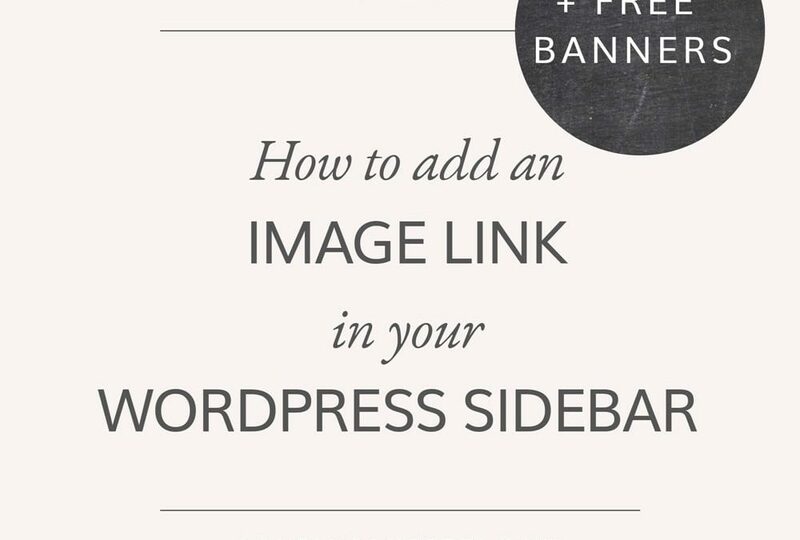 Recently one of my customers asked me How to add an image link in your WordPress sidebar. 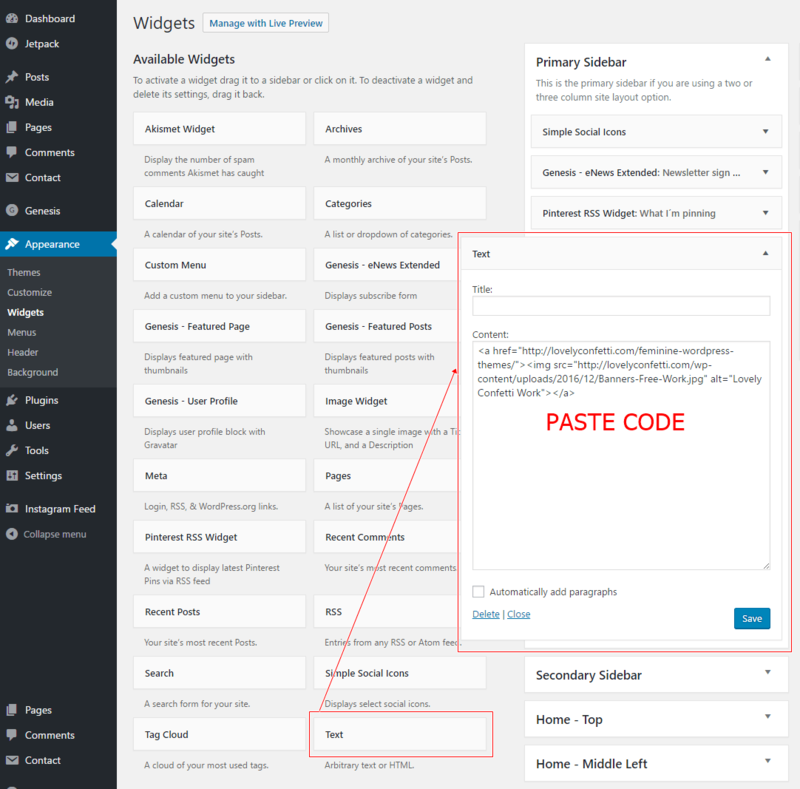 By default, WordPress has only a text widget so you need adding HTML code manually. But, no worries, if you don’t know HTML, I will show you an easy trick to get around that. This is really useful if you want put a logo, sponsors and internal links to your website. 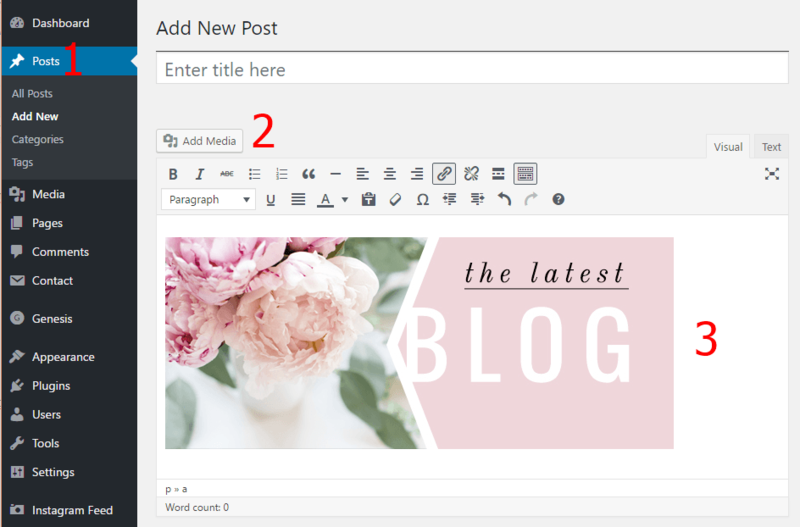 In your dashboard, create a new post or page and and add an image from your library or computer. Once you have uploaded and inserted your image, click on the image and then click on the pencil icon (see below). A new window will pop up with information about your image. Now you can select Link to – custom URL and enter your URL. If you want your image to open in a new window, set the target”open link in a new tab”. Tab over to the text mode and copy all HTML code. 3. Go to Appearance > Widgets and drag-drop a text widget to your sidebar where you want to display the image, add a title text if you like and paste code. Delete that post or save it as a draft for easier editing in case you decide to change things up again in the future. Now visit your site and click on the linked image to verify that the link works as expected. 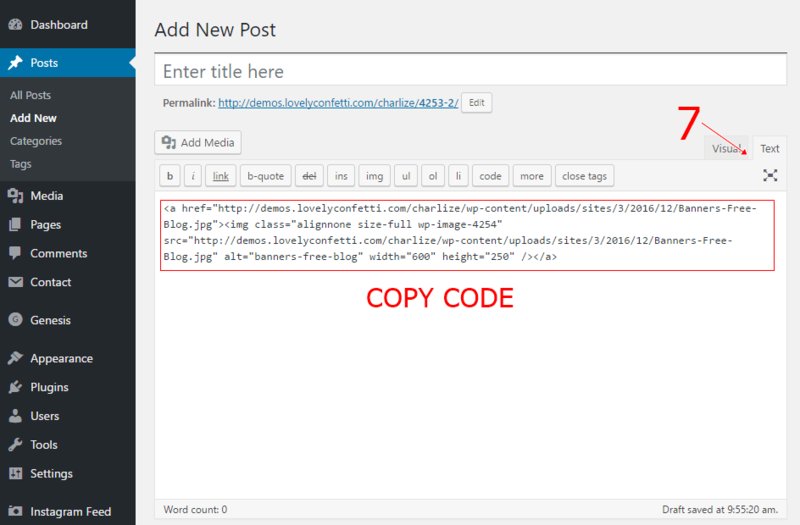 You can add more images, delete the spaces between the photos and copy/paste code like my example. And as a bonus, you can download these free banners images in .png and .psd format if you want edit text, colors and images! Join our mailing list to get access to our free resource library and download these free bannes instantly! 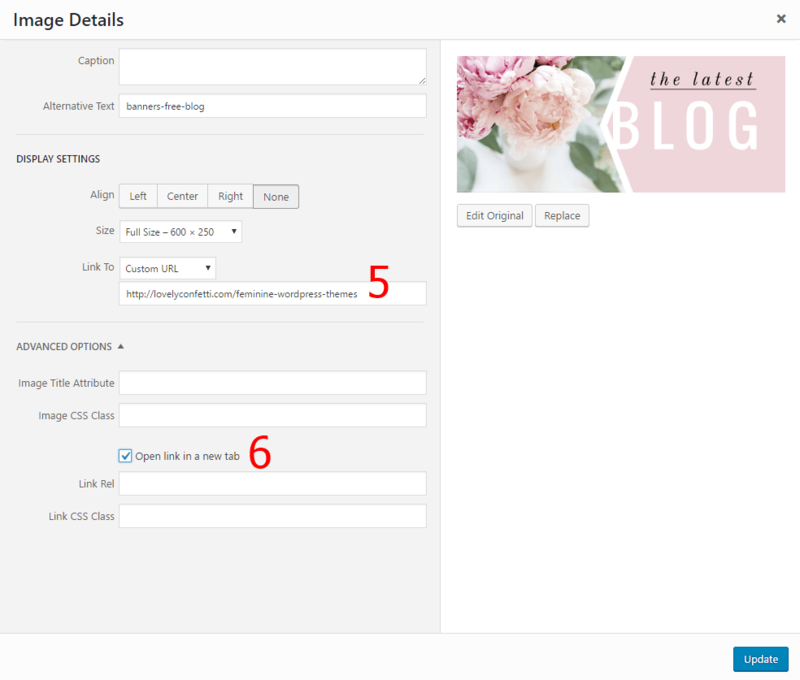 In this this posts I show you How to add a Pin it button to your WordPress site. 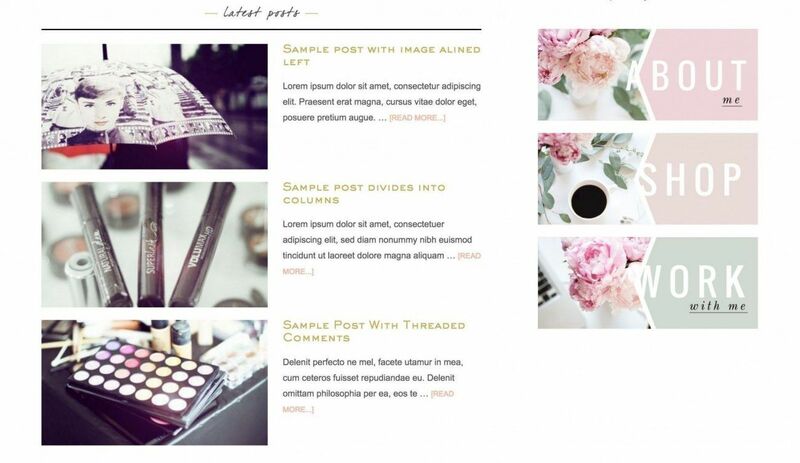 I love Pinterest, I believe It’s a great tool for promoting and driving traffic to your blog. Upload your own Pin it button. Choose position where you want show up “pin it” button. Choose if you want to show the “Pin it” button on home page, single posts, single pages or category pages. Disable showing the button on certain posts and pages. Choose level of transparency when you hover over images. 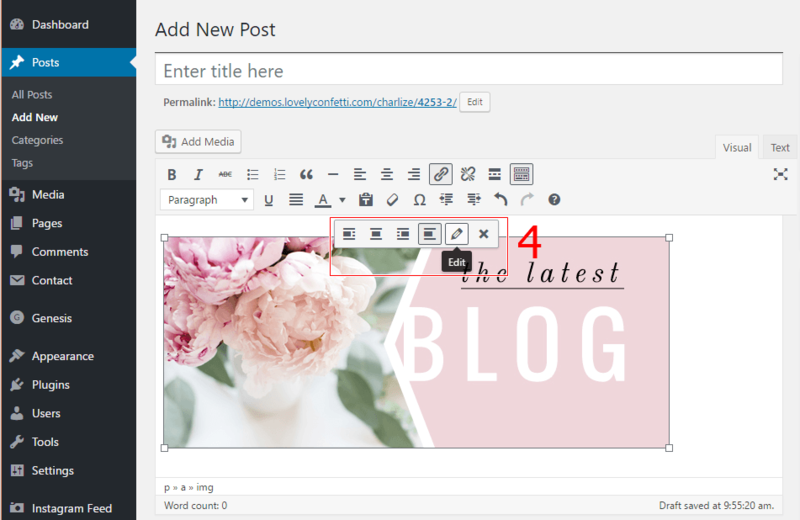 In your WordPress dashboard, hover over Plugins. Type “jQuery Pin It Button For Images” in the box and press “Search Plugins”. Once you have located the plugin, click Install Now. Go to dashboard > Settings and select “jQuery Pin it button images options” and click on the tab Selection at the top of the page. Go to Visual at the top of the page to access the second page of settings. Asign transparency value, for example 0.5. Check the box “Use custom image” and then upload your custom Pin it button using the button below. 5. Now you can choose the pin it button position where you want it (Top left, Top right, Bottom left, Botton right or middle) and adjust margins. (I usually choose top left and 20px for margins). 6. Else It´s possible optimize your pin it button for retina displays. In this case, make sure you upload a “Pin it” button that is twice the size you want it to display. And as a bonus, you can download my free “Pin it” button images for you! If you like these, subscribe to my free library and download the zip files (.png and .psd) so you can change colors in Photoshop to match your brand and use them on your site. 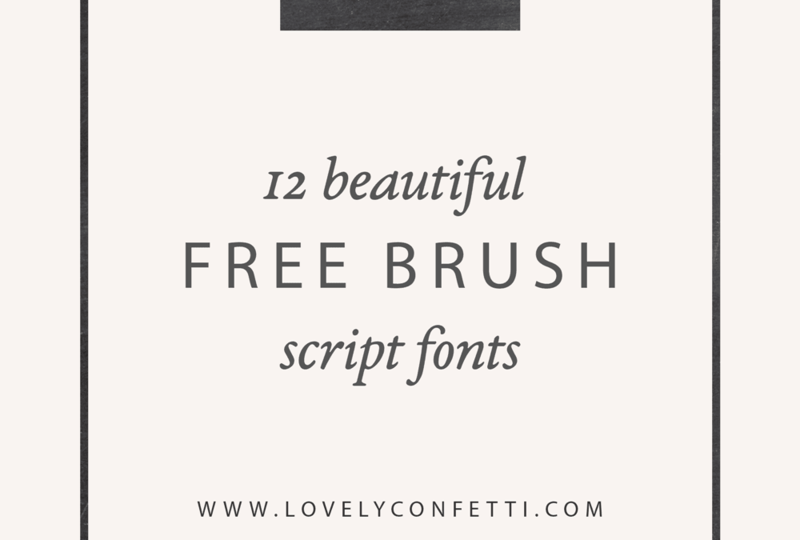 A few weeks ago I shared 12 free handwritten script fonts for your creative projects and today I have compiled 12 beautiful free brush script fonts. I love this king of distorted and irregular fonts because my style is casual and these have unique imperfect beauty due to their individual character and personality. Choosing an appropriate font for a design is an crucial task for every designer and brush fonts have a humanistic playful approach highly suitable in creating mind blowing designs. These are perfect for logos, printables, banners, lettering, clothing designs, stationery, labels, framable quotes, crafts, promo boxes, and so much more.. The only limit is your imagination. This 12 free beautiful brush script fonts will expand your collection and will surely help to improve your creative designs. Are you a fontaholic? I’m sure you are so hope you´ll download and enjoy them!